Can You Use Them To Manifest Abundance and Prosperity? Citrine Crystals are well known as potent healing crystals for you to use to aid you to manifest abundance and prosperity, but also have other properties, including to relieve fear and anxiety. All of the various colors and types of this golden stone are well known to help you to think more clearly as well as bringing happiness, joy and other positive things and situations into your life! They are a variety of quartz that are closely related to Amethyst and many of the stones on the market are created from Amethyst Crystals by heat treatment but not all. A good example is the gorgeous untreated Natural Burmese Pale Yellow Crystal Cluster in the picture above. Whether its natural or heat treated, having a piece in the environment can be helpful. 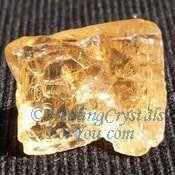 Read on to discover how you can use these bright golden yellow healing crystals to make a difference in your life, and learn more about their powerful metaphysical and healing properties. These are lots of pieces of natural Citrine selling, and the color varies according to the location where it is found. Its color also depends on whether it has been heat treated or is natural. Although it is believed that this process does not actually damage the stone, the heat treated stones have different qualities to the natural genuine stone and are powerful to aid manifestation. The meaning of the name of these crystals, comes from the Greek word meaning 'citron', as many of the earliest crystals found had a color similar to the citrus fruit of that name. 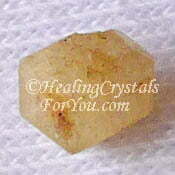 These crystals are the most well known yellow variety of quartz. All quartz crystals are comprised primarily of silicon, and their color relates to the addition of various minerals, including iron in the stone. Citrine Crystals are sometimes misunderstood and many people believe that only the genuine natural stone is worth using. Both the natural and heat treated stone have similar attributes but they do vary. 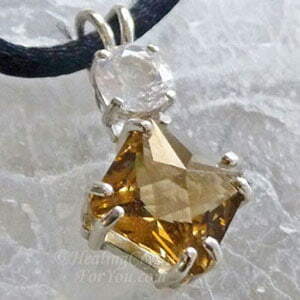 You may be surprised at the range of colors that the lovely genuine natural crystal comes in, and contrary to what some people say it is possible to get genuine Citrine stones. This is related to where it is found, and it can vary from a very pale yellow, in a range of shades through to a deep honey color, depending where it comes from. 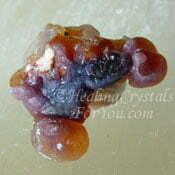 The lovely Burmese crystals that occur in the tantric twin formation, shown in the picture above are natural. 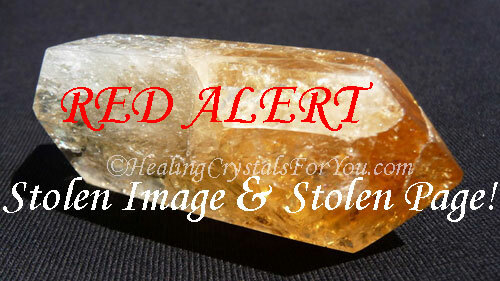 There are also quite a few others among my pieces of this crystal that are natural unheated stones, including the lovely Honey Citrine Abundance Crystal shown in an image below. This crystal has been found in a large number of locations, with beautiful pieces coming from the Rio Grand do Sul region of Brazil. Other areas where it is found includes France, Britain, Russia, Madagascar, Burma, Spain, South Africa and in the USA. 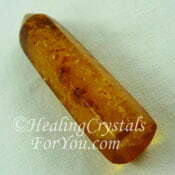 How Will Citrine Crystals Help You? It is quite common to find pieces of this stone selling, so its easy to buy. 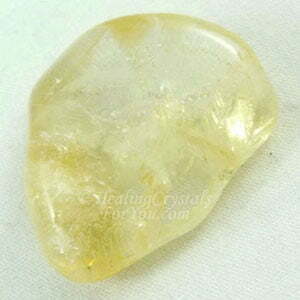 As its popularity is high, most people are aware of the energy emitted by this lovely yellow stone. 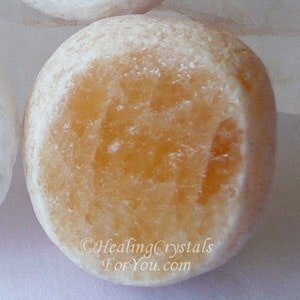 One of the less well known properties of these crystals are their ability to soothe fear and anxiety, by its strong action to activate the solar plexus, the seat of the will. It will help you to be decisive about what you will bring into your life, and by allowing you to let go of your fear it may aid you to be able to accept into your life the good that is coming your way. 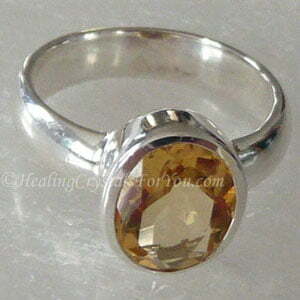 Did you know that Citrine is also a strong healing stone? Read more here. 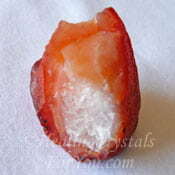 This is an exceedingly beneficial stone, that brings through energy to all of the lower three chakras. In addition it will open up the third eye chakra and aid you to think more clearly. These crystals may also elevate your intuition, or assist you to develop your intuition, and it is excellent to combine with Tourmalinated Quartz, also a stone that aids mental clarity. The combined energy of the two stones will amplify the result. 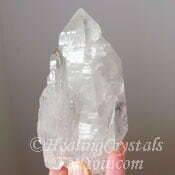 As it is a quartz crystal it has the added benefit of amplifying the energy of any stones that are used in conjunction with it. It may also be helpful for aiding healing of problems in the eye area. 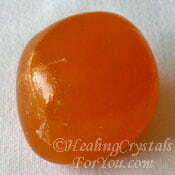 It will aid you in healing ego issues that come from within the solar plexus, also known as the personal power chakra. may improve your level of self esteem, as it has a strong effect within the area that governs personal power. Can It Help To Manifest Abundance and Prosperity? 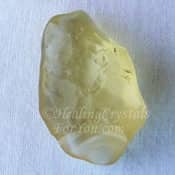 For aiding you to be able to better imagine anything you desire, the lemon yellow heat treated crystals are very powerful. If you wish to manifest abundance into your life use universal laws to aid you. Spend time imagining what it is you desire. If you create it first in your imagination, then you will be able to create it later in your reality. 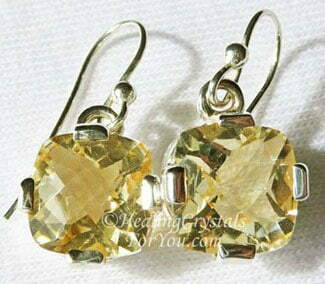 The 7 laws of attraction are at work when you are using these bright yellow crystals. These laws say that in order to attract anything, you need to first imagine it. You may be aided by this energy to manifest what you desire in your life, including the ability to manifest prosperity including money, depending on what you are concentrating on. 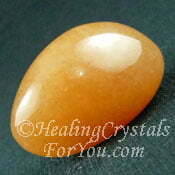 This stone helps to boost your imagination which will assist the process. 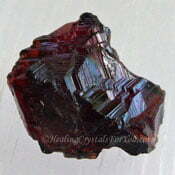 To manifest, the bright heat treated stones are very useful. These days much of the brightly colored crystals and perhaps some of the darker colored stones have been created from Amethyst, by a process of heat treatment. It can be used along with Cinnabar stone, as these two crystals are known as the merchants stone due to their action to assist those whose work relates to sales. This lovely crystal is well known for the way it works to increase abundance and prosperity in your life , as this may be the result of using it especially if you have a business. 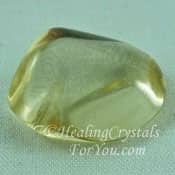 It is easy to buy jewelry made from this yellow variety of quartz, and using one of these crystals will help you if you sit quietly in meditation and allow yourself to feel the vibration. They aid you to think more clearly, as their vibration energizes the third eye chakra. Their energy may precipitate an increase in spiritual vision. This energy encourages joy, happiness and hope to flow through you. 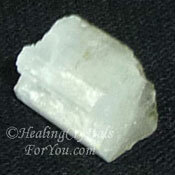 Through this help, these crystals for happiness may aid you to learn how to be happy. 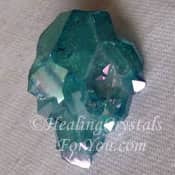 They are also beneficial healing crystals for you to use to assist you when you are participating in group activities, as they can help to unite the energy of all involved. You can use this lemon crystal in your daily meditation using crystals, and you can do a specific meditation to attract abundance. If you wear it anywhere on the body it will be helpful, but if you wear it as close as possible to the solar plexus chakra area it will be more effective to aid creativity. The sacral or navel chakra is also where your imagination and creative abilities are birthed. 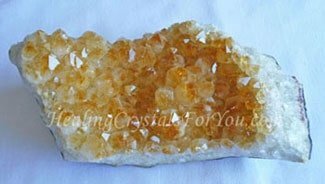 Having a piece of one of these beautiful yellow crystals within your auric field for as long as possible each day is advantageous to stimulate all chakras. This stone is an Aries, Libra, Leo and Gemini birthstone, and is very effective for manifestation, including to manifest money. For manifesting while you sleep, put a piece under your pillow. It is easy to buy Citrine jewelry, so you can have it on your body, and this will be very beneficial to your ability to manifest. If you check the list of birthstones by month you will notice that it is a November birthstone as well as a June birthstone. It is also on the Zodiac Birthstone chart as it is one the birthstones for the zodiac. This means that it is very likely that pieces of beautiful yellow quartz gemstones will be found made into attractive rings or pendants that you might like. As an accessory, gemstone jewelry made from Citrine Crystals may be obtained that had been made into very beautiful pieces, including lovely necklaces, earrings and rings. The positive energy flow within both the sacral or navel chakra and within the solar plexus chakra is very important for aiding manifestation. This crystal is a powerful stone to cleanse and regenerate your environment, and it creates a lot of positive movement of energy within the body too. One of the reasons these crystals first became popular as jewelry was because the color of some stone resembles the expensive deep yellow Golden Topaz gemstones. 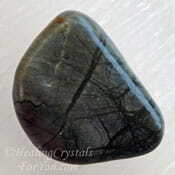 These days it is more likely to be bought for its metaphysical properties, as so many people are now aware of its strong attributes to stimulate abundance and prosperity. 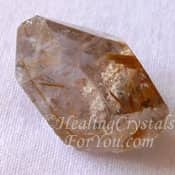 Although most people think of Citrine Crystals as being stones for manifestation there are also a large number of healing properties that they embody. It does not matter if they are natural Citrine or heat treated stone, which are sometimes called burnt amethyst, when the stone is a deep orange or brown color. 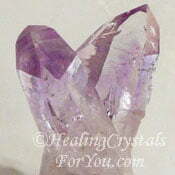 Amethyst is a potent healing stone in its own right. Whether you are using the well known purple stone or the yellow Citrine stones that have been heat treated, it still embodies the healing energy of the violet flame. 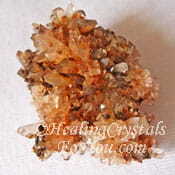 Citrine Crystals have a strong energy within both the base and the sacral chakra. While this will aid creativity, in addition it has a good action to aid the health of the organs located in those areas. They are purported to assist with an improvement in your vision and if you are suffering from a degenerative disorder they are said to assist with your ongoing healing. By stimulating your metabolism they may assist with weight loss and boost reduction of cellulite. Wearing these crystals may also help the healing of a large number of other health problems, and this may partly be because all types of quartz resonate strongly with good amplification properties. Their energy will resonate quite powerfully into the area close to where they are located and they are also easy to program. If you have any of the health issues mentioned above it may be of value for you to program your crystal to assist your healing. 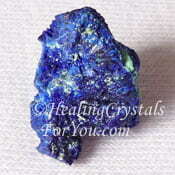 If you are unsure about how to program crystals read more here. The colors of the natural untreated Honey Citrine (see picture below) and my natural yellow Pendulum, shown here, as well as the lovely pale yellow Burmese natural cluster above, are examples of the differences in the look of natural stones. 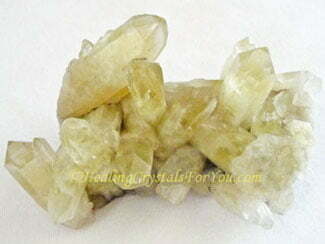 The properties of this yellow quartz crystal varies according to its color. It naturally comes in a range of different shades, including the brighter yellow stone and very pale yellow. 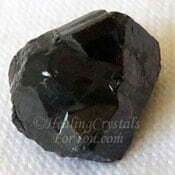 The natural crystals may often resemble the color of paler Smoky Quartz, also called Smokey Citrine. If you prefer to use natural crystals, the color of the natural Citrine Crystals may be pale yellow, honey yellow or even with very little color at all. 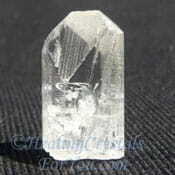 These crystals may be a very different color to many of the other crystals, as they are often a very pale yellow color. Regardless of which of the various quartz configurations or formations the stone occurs as, you will find that the natural stone has different metaphysical qualities to the manufactured heat treated stone. 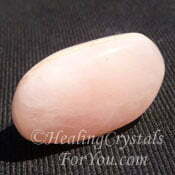 The natural stone is an excellent choice, both for manifestation and healing. Not only is it just as powerful for manifestation, but in addition it will help you to release etheric blockages within your chakras. These blockages may have been holding you back from allowing your greatest good. Its energy is often stronger than the heat treated stone. 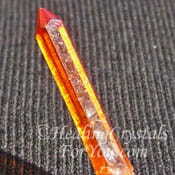 Both natural Citrine Crystals and the heat treated stones are very beautiful. Using either will raise the level of your vibration, and aid you to create the life you desire. 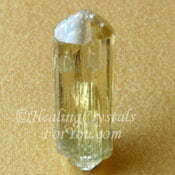 The fact that this lovely yellow stone is a variety of quartz indicates that it has a strong ability to radiate energy. This means that its vibration will powerfully resonate within any area where it is used. Use the Seven Laws of Attraction to assist you. 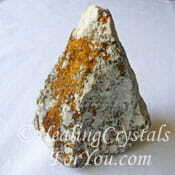 If you use them along with Citrine crystals, the effect may be very powerful. Use your imagination it will be aided by Citrines energy! The color of many Citrine Crystals may be a dark orange color, and this is an indication of the heat treatment that these stones have gone through. Although some say this is a controversial crystal, this process actually mimics what happens naturally within the earth. If you remember that all stones have been naturally heated during their time within the earth, you know that the heat treatment will not harm them at all. Through its immersion in fire it alters to a new stone, an analogy for its action when you apply its vibration to aid you spiritually. They have a good action to aid spiritual growth, and in addition they will help you to know when it is necessary to pull away from a situation and be able to say "no" when required. "If you want to feel rich just count all the things that you have, that money can't buy." 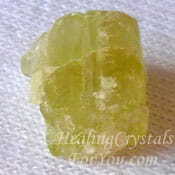 This stone works to stimulate your visionary abilities within the third eye chakra. Its action may be enhanced and strengthened by combining it with some of the high vibration crystals, such as Phenacite, Stellar Beam Calcite or Natrolite. 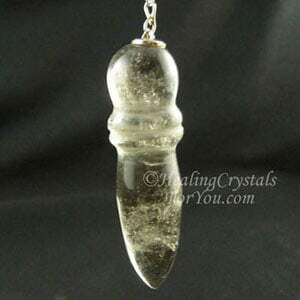 It also aids you to bring through spiritual energy from the spiritual realms. This may be boosted by using it with Zircons, Scolecite, Herderite, Amethyst, Danburite and Petalite. 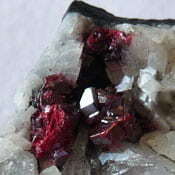 To boost your imagination you may like to use it with Pietersite, Picasso Stone or Spessartine Garnet. Citrine is a variety of quartz crystal, so the quartz healing properties within these yellow stones have a strong vibration to amplify energy. You may choose to use it with either Purple Amethyst including the lovely pale lavender Vera Cruz Amethyst, Smokey Quartz, Golden Rutilated Quartz, Aqua Aura Quartz, Tourmilated Quartz or Clear Quartz Crystals, which will strengthen that amplification energy, and boost its manifesting vibration. 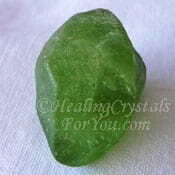 Using it with other prosperity crystals may further aid manifestation, and may particularly help you to manifest an increase in money. Excellent combinations for this purpose are to use it combined with Golden Yellow Topaz, Orange Calcite, Cassiterite, Fire Agate, Yellow Apatite, Amber, Green Peridot, Chalcopyrite and Libyan Gold Tektite... also known as Libyan Desert Glass. 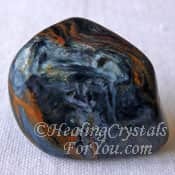 For manifesting an increase within your business, one powerful combination is to use it with Cinnabar stone, which is also known as the Merchants stone. This is a potent combination to help your business to thrive. 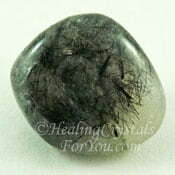 Another powerful combination for manifestation is to use them with Brazilianite and Rhodizite crystals which magnifies the energy of other stones. For enhancing creativity combine it with any of the strong creativity stones, such as Golden Yellow Labradorite, Orange Calcite, Orange Creedite, Peach Aventurine, Amber, Orange Carnelian, Azurite Stone or Zincite. Add extra energy for manifestation by combining them with stones for either the solar plexus chakra or the sacral chakra, particularly the golden and yellow stones. Crystals for these chakras are all good stones to combine with it to aid manifestation.